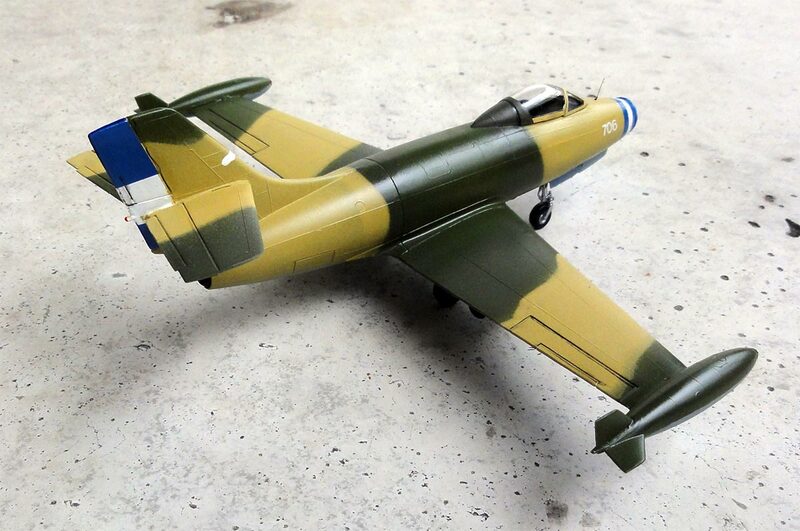 Another Heller MD 450 Ouragan kit #201 was made (as seen on page 1..). 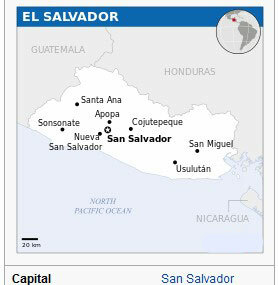 In 1975 some 18 ex- Israeli air force Ouragans were sold to El Salvador in Central America. 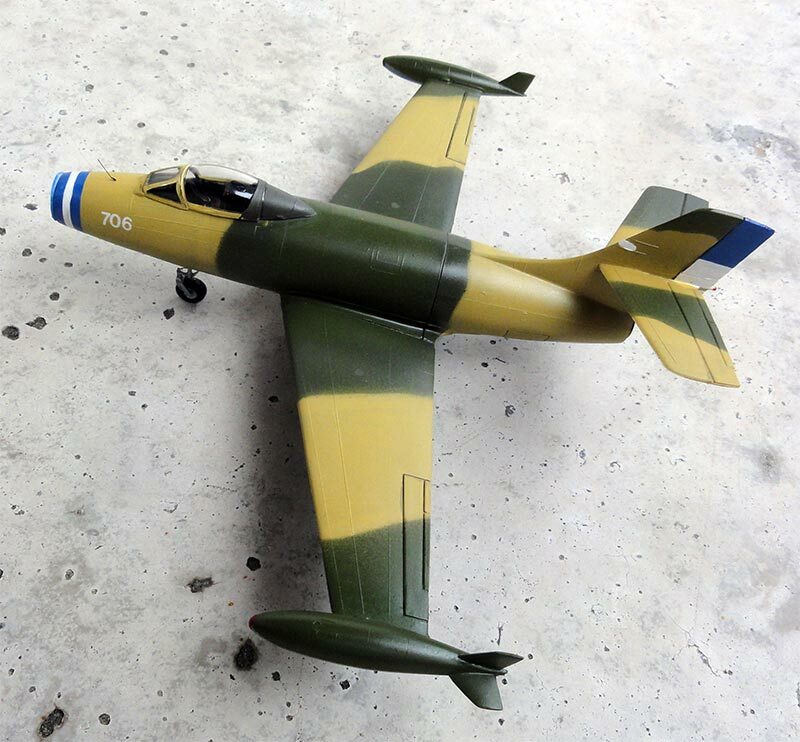 A few photos were found on the internet (but I also found out that Valom released a kit with these markings; the Valom instructions were used as a guide). The kit was made straight out of the box. The cockpit interior is "coal black" as usual in those days. The canopy would be set closed. 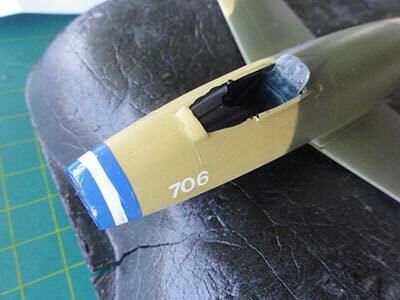 Add plenty of nose weight before closing the fuselage to prevent "tail sitting" and take care to align the intake tunnel section. 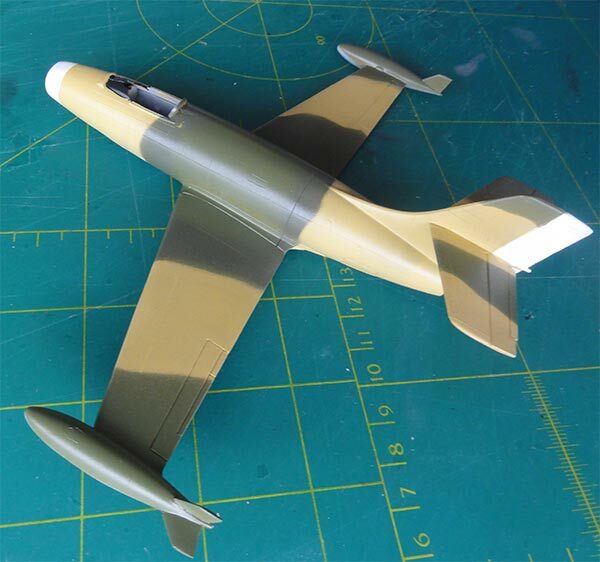 With a piece of paper, masking was done during paint airbrushing. The markings are very basic with apparently no roundels. A coloured rudder shows the El Salvodor flag and I also saw an aircraft with these blue-white-blue stripes. This one was made. The white areas were airbrushed, the blue was made with blue decal stripes cut in curves to get a better nose intake fit. 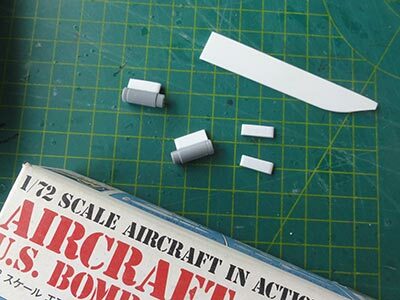 A small nose number was found in the spare decal box. 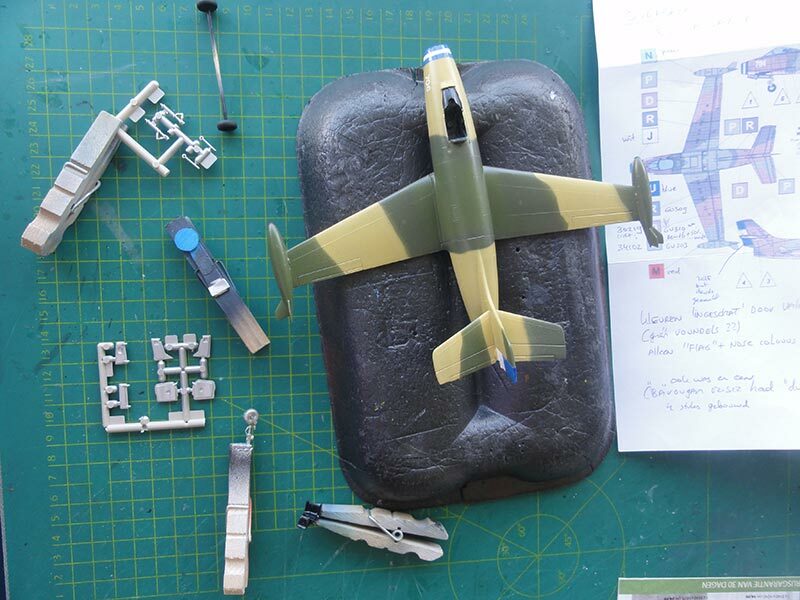 The kit got its undercarriage and the cockpit got a few bits for more details. The canopy was set closed and any small gaps filled with white glue. When dried the edges were hand painted in the surrounding camouflage colours. 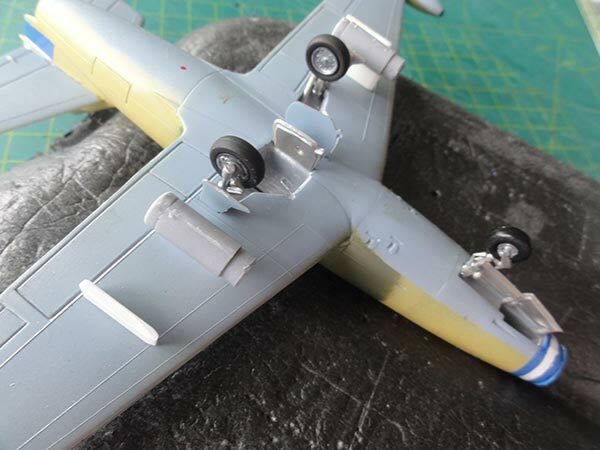 The model looks a bit barren so I opted to install four pylons below the wing. These were made from scrap plastic. On the inboard pylons 2 rocket LAU-3 pods were set in place obtained from Hasegawa weapons set X72-1. These pods are painted green on the El Salvador Ouragans. Final touches were a wire antenna in front of the cockpit, below the fuselage and painting the tip tank anti-collision light red and green. On the intake a protection cover was set in place from card. 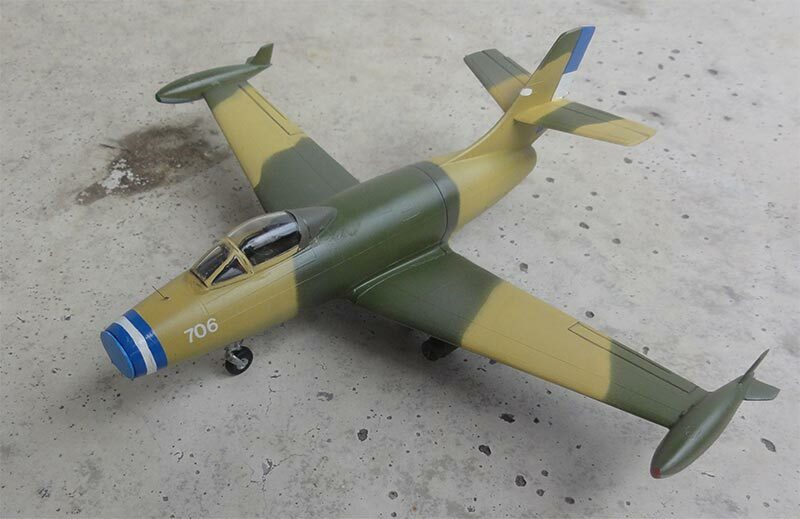 A nice Ouragan model of El Salvador is now in the World Air Forces in Plastic collection.